A timeless must-visit stop on the Las Vegas strip! The Peppermill Restaurant and Lounge is a classic with a cool atmosphere, unique drinks, and amazing food & desserts!  Come see why the Peppermill has been featured in numerous movies! Centrally located on Las Vegas Blvd between the Wynn and the Riviera. Take I-15 to West Sahara Blvd, turn right on Las Vegas Blvd. Voted Best of Las Vegas year after year. 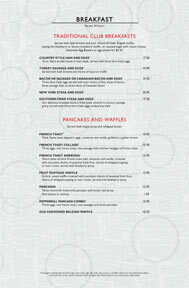 Centrally located on "The Strip," the Peppermill is a great location for breakfast, lunch, dinner, weddings and parties. Serving generous portions of your favorite food for 40 years. Tag us on Instagram at #PeppermillVegas for a chance to have your photo featured on our website and social media networks! The award-winning Peppermill Las Vegas and Fireside Lounge has been voted as one of the "...places to see" by Casino Magazine, Best Cocktail Waitress by Las Vegas Magazine, Best Exotic Drinks and Most Romantic Bar by Menu Magazine, and many more. The Peppermill was also recently featured in music videos for Carlos Santana as well as American Idol winner, Adam Lambert. You may have spotted the iconic venue in such films as "Casino" and "Showgirls" and seen on the venue on TV in "CSI Las Vegas" and "The Holly Madison Show." This place is a Vegas classic that remains unique even though it’s kind of trapped itself in 1976. Classic Vegas - everyone should go here, deal or no deal. A short walk from Wynncore, SLS, Circus Circus and more. The Peppermill on the Strip is a Las Vegas classic, and worth the drive down there. The Peppermill exists within a space-time continuum of its own creation. What has become a time-warp anomaly burst upon Vegas’s restaurant universe on December 26, 1972—as the Vietnam War dragged on and neckties were wider than a baby’s bib. When you step inside the Peppermill, you don’t really see a lot of things that remind you of tomatoes with celery. What has fun food, tons of history, and is pink and blue and neon all over? If you know Las Vegas, you know the answer is Peppermill Restaurant and Fireside Lounge. The Peppermill, located between the Riviera and the Wynn, has been open for more than 40 years. Since 1972, tourists and locals alike have sought refuge in the plush, rope-lit banquettes of this campy, comfy North Strip coffee shop and cocktail lounge. Omelet meets Italian food with this plate-sized monster ($12.95), a gigantic cloud of eggs bursting with two kinds of cheese, sausage and mushrooms. The iconic Peppermill restaurant on the Strip opened its doors in 1972 and has been serving upcoffee shop favorites, low prices and big portions 24 hours a day ever since. If your vision of the tropics is more along the lines of Elvis and the Brady Bunch, the kitsch at the Peppermill’s Fireside Lounge. On December 26, 1972, the Peppermill Restaurant and Fireside Lounge made their debut and proudly remain as an iconic reminder of the Vegas Strip the way it used to be. Founded on hearty dishes and oversized portions, today’s menu still reflects the same. In fact, the menu features many original items such as the fresh fruit salad, French toast ambrosia and famous Peppermill burger. Visit our 24-hour Fireside Lounge and delight in a 64-ounce Scorpion, or start your morning off with our award-winning Bloody Mary still made from scratch. Like the Strip itself, the Peppermill Restaurant and Fireside Lounge have been the backdrop for classic films and TV shows like “Casino,” “Showgirls,” “The Cotton Club,”“The Holly Madison Show,” “MTV Spain” and “Giada at Home” and boasts their share of famous visitors – including such timeless stars as Dean Martin and Jerry Lewis, to Guy Fieri, Criss Angel and Floyd Mayweather. In fact, Penn Jillette is such a fan that he had a custom booth, modeled after ours, built and installed in his home – now that’s a tribute! Whether you’re here for a great meal or to socialize over cocktails, we think you’ll agree, some things are better left unchanged. Here’s to the way it used to be! 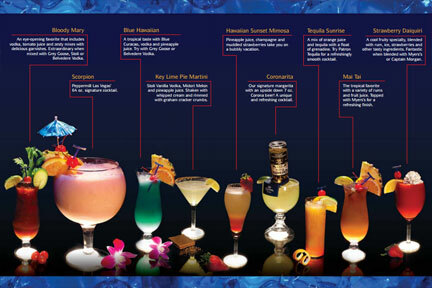 Enjoy Happy Hour every day from 3pm - 6pm. Special pricing on well drinks, select beers, and house wines. Bring your valid service industry ID and receive Happy Hour pricing on food and drinks from midnight to 7am, 7 days a week. Your new career at Peppermill could be just a mouse click away. View our current job openings below and submit your application today. NOTE: Reservations must be made in person by phone. Call 702-735-4177 to make a reservation now. Reservations must be made in person by phone. Call 702.735.4177 to make a reservation now.